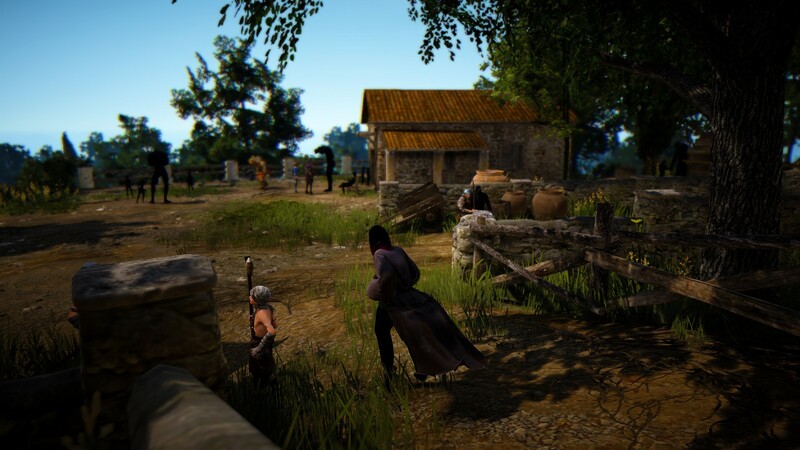 Monday quick notes: what does a Black Desert look like, anyway? Anticipation for BDO rose to an all-time high for me this week. Granted, almost everything i read that also contained an opinion was mixed, to say the least, and i didn’t participate long enough in the beta to form an opinion on my own. What got me was the impression that here’s a game you can actually play in many different ways. Beginning with the different “currencies” and skills up to the fact that the only thing granting leveling xp will be the mobs- suddenly i saw myself riding off into a world to explore on my own. And i think this will have to be it, as the developer-created content seems quite thin. 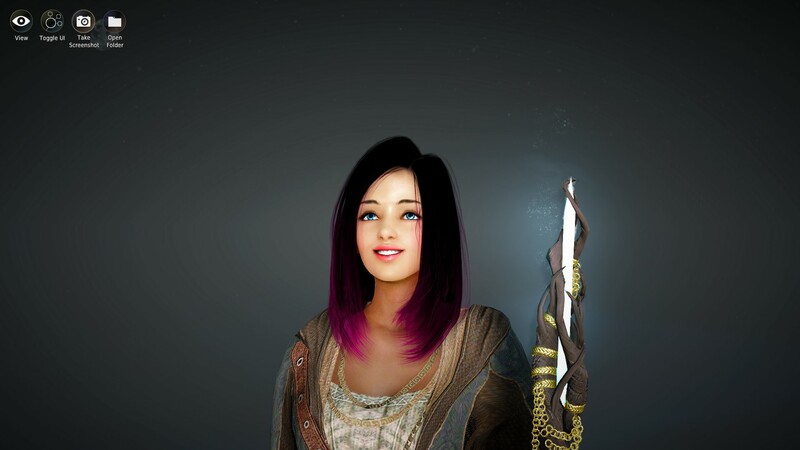 But i have another game for that and i was actually really looking forward to beginning my journey in BDO. So i did- i wish i could tell you more, but at this point, i’m trying to make sense of all the game’s offerings myself. I followed the questline as long as it took to leave Olvia behind, but still feel i missed something back there because i haven’t gained even one contribution point while the quests there seem to have dried up. This leaves three possibilities: either i haven’t found all the quests, the quests in the next town count toward Olvia, as well or it is highly recommended to run multiple characters through Olvia. Right now, i need contribution points for two things: connecting nodes and buying a house, although i’ll put that last part off a bit until i know what i need the house for. Introducing Nuria Mersault, Witch. I chose something different than this smile- unfortunately, now she’s running around with her eyes closed. So far, there’s one thing that game managed very well: giving the impression of being in a vast world. I began gathering resources and soon found myself with a full inventory- thankfully, there’s a warehouse in Olvia- here’s the thing with that, though: as far as i know, those warehouses store items locally, so i can’t actually access them in the next town. If you take this into account as well as the fact that there’s no fast travel in this game, it’s obvious that at some point down the line, you’ll set up a “home” or base of operations. For me and right now, this is Olvia and i need to figure out how to get more contribution to unlock two nodes- thereby allowing me to sell a “trade material” (that’s basically expensive “junk” you can sell to certain npcs for bigger amounts of silver) at 100% of its value- that would be around 10000 Silver (current balance: 3500 Silver)- without those two nodes, the npc will only pay 30%. The giant in the background keeps your stuff safe in the warehouse. I haven’t touched crafting yet, because i don’t have any idea how to do it- but gathering is interesting: if you kill a fox, for instance, you have three options: to get fluids from its corpse, to skin it or to get the meat- that’s one mob giving you three options to utilize it for crafting material depending on the tool you equip. The game itself doesn’t tell you much- or maybe it is slower in telling than i’d like it to be- because i saw there are video tutorials for gathering and crafting, but i haven’t reached the point where the game lets me watch these yet. Grinding mobs is hugely satisfying- although i have to say the respawn rate is quite high right now. Wolves, for instance (they attack) spawn so quick that i can’t even harvest the resources from those i killed before. I’m level 10 now and this game is still a big question mark in my book- but that’s really nice, because now, i’m eager to go back in and explore further. My feeling is that in this game, the player will have to utilize intricate knowledge of the game system to his or her advantage. As a last note- i haven’t had any troubles playing on a NA-server from europe. Seems to be working fine. I began questing in Greenshade with Nuria Solstrum and tackled the two guild-quests that sent me there. I got to see the Earth Forge. I don’t like lava zones but i can take one instanced cave. It’s very atmospheric. 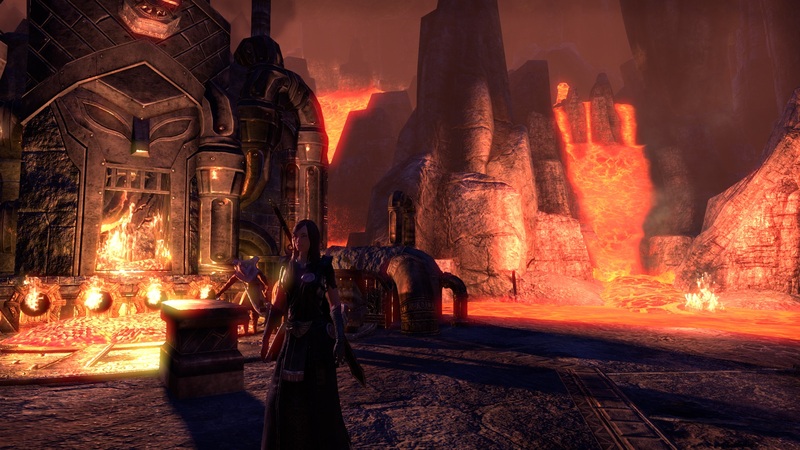 I also played a part in a “theater piece” written by Sheogorath, the Daedric prince of Madness. Somehow i think that the content of the play will become true down the line- it was about the three alliances turning against the mages guild because they refuse to pick a side. All in all, i have to say: with Elder Scrolls Online, Black Desert Online and The Division upcoming, MMO-wise i’m in a very happy place right now. And there’s also The Secret World in my rotation. Since the beginning of the year, it was so easy to simply ignore news coming from all the other titles, i’m not tempted in the slightest. It’s a great place to be in and i expect this to continue throughout this year. Rocket League’s newest DLC release will be the Batmobile. For 2€, i think i’m in. Rocket League still takes up about half of my available gaming time, i’m so happy i bought it. Sometimes i play with two friends and that’s when the fun really starts. I’ve paid 13€ and played 100 hours- i think i can put another 2€ in for a cool looking car.